Sarah Whittaker came into the love of film through the avenue of skiing. Racing, then ski modeling, then stunt skiing for film. She moved to LA to become a stunt woman, and found herself behind the camera as a 35mm and 16mm camera technician. Sustaining a broken neck on a shoot in 1990 directed her to yoga as therapy. Sarah’s passion for the physical art form of yoga, her 8 year practice of flying trapeze, and still skiing with the big boys, has kept her physical well being in a long sustained and fine balance. Todd Soliday is a Director, Editor, and Cameraman, who mostly lives for carrying Leah’s suitcase. 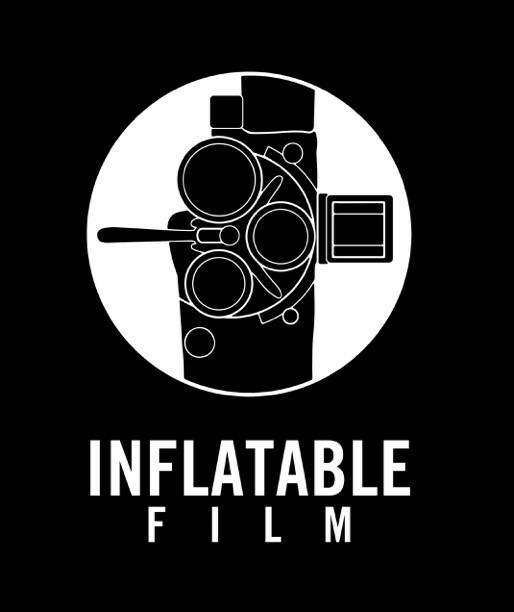 With over 25 years experience on projects around the globe, Todd is the gear head and true craftsman at Inflatable Film: directing, filming, editing, animating, and post-supervising feature films, short films, corporate films (Starbucks, Red-Bull Media House, Microsoft, Amazon, T-Mobile, etc), and music documentaries for major networks and corporations. Both a technical expert in the field and a passionate leader, Todd is happiest outside, with camera in hand, OR engaged with a team of talented artists. For Todd, BIG SONIA (2016) was the ultimate: co-directing, editing and shooting this entire film, then collaborating with some of the most gifted musicians and visual artists in the world was the culmination of his filmmaking dream. Other recent documentary feature projects include OUT OF LUCK (2016), THE BREACH (2015), FINDING HILLYWOOD (2013), PLATINUM: THE MT. BAKER LEGENDARY BANKED SLALOM (2007) and VOYAGE: ALONE ACROSS THE ATLANTIC (2006 series and pilot). Todd is a multi-Emmy award winner and in 2015 was honored with a month-long fellowship at the Rockefeller Foundation in Bellagio, Italy. Avid mountain biker, snowboarder, diver, surfer, and world-traveler, Todd’s hunger for the backcountry and passion for adventure drives his documentary storytelling. Ashley Mosher is an award-winning filmmaker who’s work focuses on elevating human consciousness. Recently, Ashley returned from filming in the Amazon jungle under the tutelage of master filmmaker, Werner Herzog. As part of carefully selected group of emerging storytellers, she made her latest short titled “Love Birds” (2019) a personal documentary following the unfolding story of an Amazonian artist and his distant beloved, a young Italian Astrologer. Ashley has been awarded Most Inspiring Woman in Film by the Los Angeles Film Awards, while her last documentary film, Back to CAMP, earned the top tier Award of Excellence by IndieFEST Film Awards, the Merit of Awareness Award by the Awareness Film Festival and was a semi-finalist in LA Cine Awards. Back to CAMP is currently on the festival circuit, making its way into respected film festivals, such as American Doc Fest, New Hampshire Film Fest, Phoenix Film Fest, among others. Her first short theatrical film, Love Biscuit, made it onto the festival circuit as her debut, having never gone to film school. Ashley began making content when she started Feed Them With Music (www.feedthemwithmusic.com), a non-profit that used all things music to feed hungry people around the world. There, she spontaneously started shooting live music videos with high profile artists, such as TRAIN, The National, and Gavin DeGraw, with the latter ending up broadcasted on VH1. Ashley is currently in preproduction for her next narrative, currently titled Monogamish and is writing her first theatrical feature, Cost of Riches, while developing her first documentary feature, The Woman Wisdom. Nancy Dragun is the Executive Director and Co-Founder of the Walla Walla Movie Crush. She got her start in the industry on the production side; notable credits include serving as a producer on the Emmy-nominated series, The High Bar, and as UPM on Sonya Lea’s award-winning short, EVERY BEAUTIFUL THING. Win Whittaker began guiding for RMI in 1982 and has summited Mount Rainier over 185 times on various routes. He has lead trips to Denali (20,320'); Aconcagua (22,841'), Argentina; Sikkim (many peaks over 22,000'), India; Chimborazo (20,703'), Cotopaxi (19,348'), Cayambe (18,997'), Ecuador; Pico de Orizaba (18,701'), Ixtaccihuatl (17,342'), Popocatepetl (17,883'), Mexico; and peaks in the North Cascades. Win and his wife, Sarah, own Whittaker’s Motel and Bunkhouse in Ashford and are also filmmakers. They are the Founders of the Rainier Independent Film Festival currently going into its 12th year.